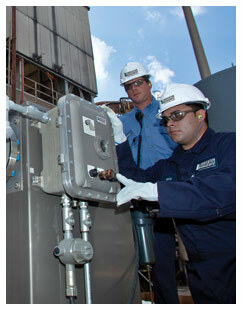 In-Plant Services provide enhanced reliability and peace of mind. New equipment installation can cause contamination in the oil circulation system and related piping. Particulate matter‚ left over from manufacturing or introduced during installation‚ may lead to system wear or failure once the new machinery is put into operation. Our professionals provide trouble-free start-up services such that ensures OEM specifications and optimal lubricant is provided. We help establish oil cleanliness specifications and certify that lube meets those levels prior to start-up. We’ll coordinate local lube delivery‚ plus establish filtration procedures. We will fill the system and provide vacuum hydration if needed. Finally‚ we provide an oil analysis for the lubricant’s baseline data and document system cleanliness. Sometimes it’s not practical – or possible – to shut down critical systems that need repair before the next scheduled outage‚ even if contaminant levels are high. Our oil reclamation experts provide an effective solution to help keep you operating while addressing contamination issues. 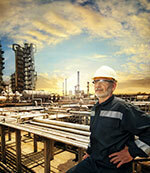 We provide a variety of purification skids‚ short or long-term. We also offer portable laser particle counts that routinely monitor the effectiveness of oil reclamation equipment. We coordinate the right response to your needs‚ then determine the root cause of contamination in developing a long-term solution. Oil reservoirs on circulating system bulk tanks‚ gear sumps and related equipment must have regular inspections. Cleaning schedules must be established. Contaminants caused by component wear‚ lubricant oxidation and external sources must be removed. We offer an effective solution that allows you to remain up and running while contamination is addressed. Service is recommended every three to five years‚ depending on the application‚ operating temperature and environment. We recommend and implement best lubrication management practices and establish a baseline profile before providing inspection‚ cleaning and purification services. We provide oil reclamation services‚ where possible‚ refill the system and provide condition monitoring as we help you remain in operation. 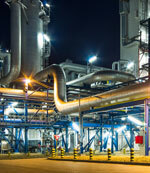 We help you avoid unscheduled downtime by reducing maintenance expenses. This includes identification of leakage points that may reduce component life and lead to contamination and elimination of system defects and oil line restriction caused by contamination deposits. We work with your team to gain full system knowledge‚ then survey the system for component temperatures‚ flow rates and leakage. 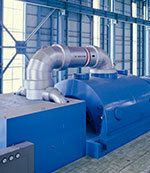 We provide a full inspection of lines‚ piping‚ reservoirs‚ auxiliary conditioning equipment and flow meters. Video and digital photography may be used to determine the exact contamination location and examine its effects. We report findings and make recommendations to enhance system operation and prevent repeat problems. And we’ll help plant personnel implement these best practices. At Reliability Services‚ we see asset tracking and condition monitoring as essential services‚ a critical part of helping you achieve reliability excellence. And we deliver the products‚ services and expertise to ensure they are done properly. Our specialists begin by determining the physical variables considered representative of your equipment or lubricant health. We measure these variables‚ and then compare them to standard values established as limits by theoretical and practical experience to ensure that all equipment is operating at optimal condition. Through data collection at regular‚ periodic intervals‚ your TLM team can establish trending‚ detecting changes to the lubricant or equipment condition. By employing a rigorous asset tracking and condition monitoring and trending process‚ we're able to help you identify those precursors to reliability failures‚ giving you sufficient time for intervention and corrective actions before costly catastrophic failure. In-Plant Services provide the years of expertise and know-how it takes to troubleshoot a facility's lubrication system and optimize it for years of improved service. Just one more way Reliability Services works to keep you Up and Running.